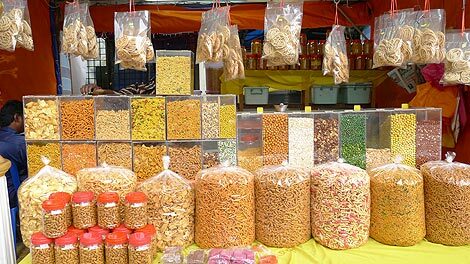 Pulau Kapas is a small island located only about 6km off Marang in the east coast state of Terengganu (about 1h north of Kuala Terengganu). 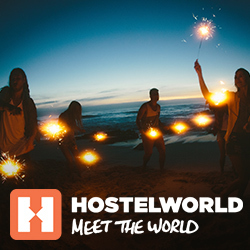 It has quite and relaxed atmosphere because it is bypassed by the majority of the backpacker circuit looking for a more remote place like the Perhentian Islands. Pulau Kapas only get fairly busy on the weekends when locals come to island. There are a few good snorkeling spots around the island. All accommodations and beach are on the west coast facing the mainland. The west coast is the weather side has no sand beach, only rocks - it can be reached after a short walk through the jungle. 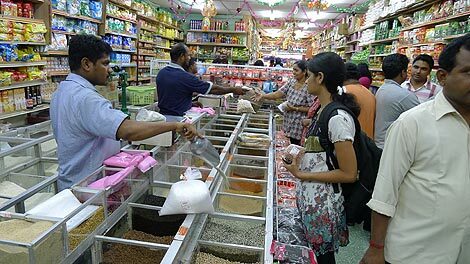 Pulau Kapas shuts down during the monsoon season between November and February. Pulau Lang Tengah is a small postcard island with only 3 resorts located halfway between Perhentian Island and Pulau Redang. 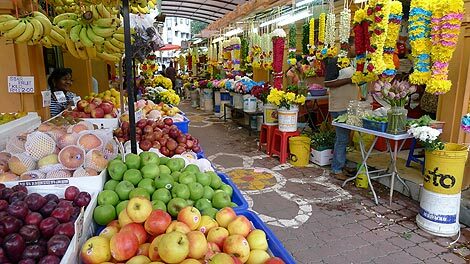 Brickfields is one of the most colourful and interesting areas in Kuala Lumpur. 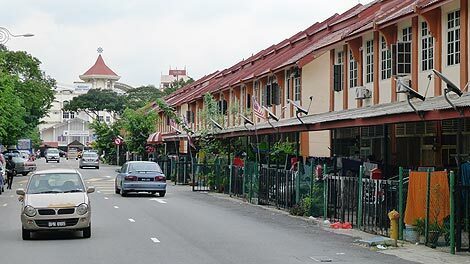 It is one of the oldest areas in Kuala Lumpur and part of it is also one of the most modern with the KL Sentral development. 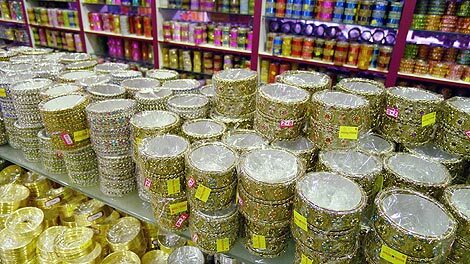 The most interesting part, however, is the Little India area along Jalan Tun Sambathan. 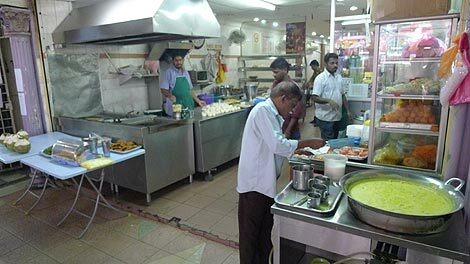 Brickfields is experiencing a lot of changes currently. 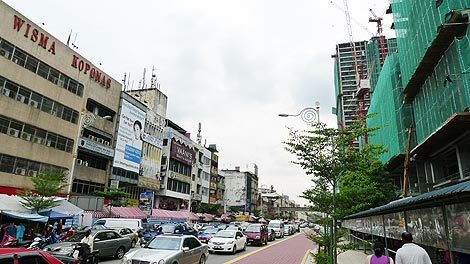 For once, there is probably the biggest construction area around KL Sentral with a new shopping mall (Nu Sentral), hotels and office towers in the making. 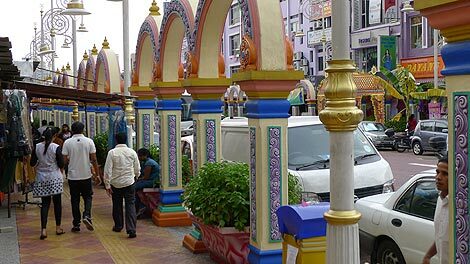 On the other side is the old Brickfields area which is currently undergoing a redevelopment process. 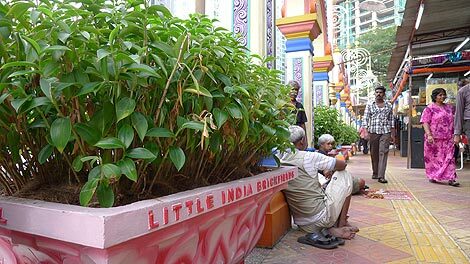 Fortunately, the money here is spent on beautification projects keeping the historical structures and cultures in place - making Little India more attraction for residents and tourists as well. 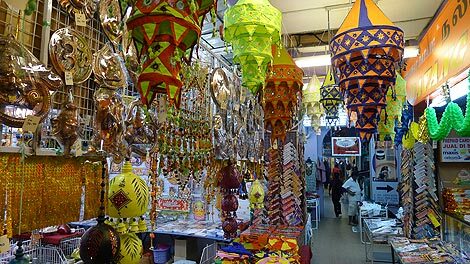 We went on a walk a few days before the Deepavali festival which makes the area even more colourful with decorations and street markets. 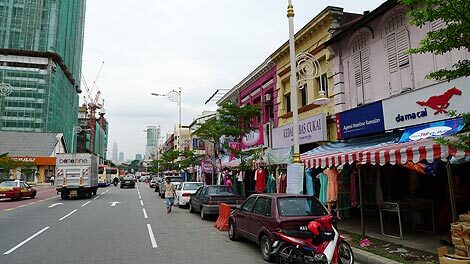 Jalan Tun Sambathan (formerly Jalan Brickfields) runs through the heart of Brickfields. 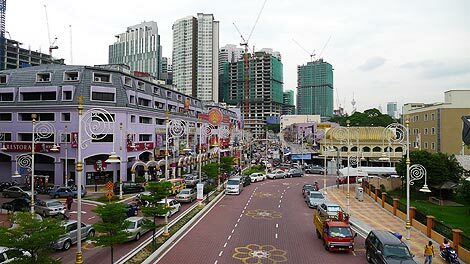 On the left you can see the old part of Brickfields and on the right is the modern KL Sentral area. On the picture you can see the construction of the Nu Sentral shopping mall. In the centre of image is the KL Sentral Monorail station, which is the last stop of the line. When you arrive with the Monorail at the KL Sentral station you can go left und around the construction site to reach KL Sentral main railway station which is a hub for transports to the Airport and short and long distance trains. 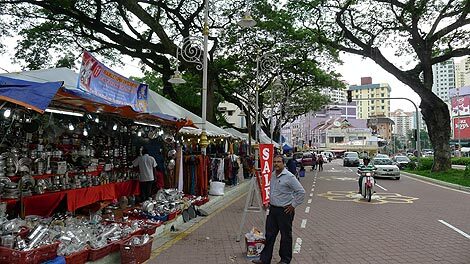 On our walk we turned left after leaving the Monorail station and followed Jalan Tun Sambanthan into the heart of Little India.